Being born with a talent is like receiving a great gift, but as they say, giving is better than receiving. Now there’s a way to have your gift and give it, too. Just put it in the bank — the TimeBank. Promoting equality through inclusive exchanges of time and talents, TimeBanks provide investors with a means of investing in strong, resilient communities. Time and talents become a medium of exchange for turning community needs into perfect opportunities. And in the holiday season, offering help to someone in need can be the perfect gift they were really hoping for. This is InspiredEconomist’s contribution to Important Media’s “More Love, Less Stuff” sustainable holiday series. Placing a renewed emphasis on family traditions, sharing, and caring, it’s time to take back the holiday season. Redefining the hyper-consumerism typically marking, or rather marring, the season of giving, it’s time to recalibrate our scale and find a new way to shower our loved ones with tangible generosity. Raging wildfires of conspicuous spending drain precious resources, and carefully conserved energy, and ultimately tosses all our previous good efforts right out the window of hypocrisy. 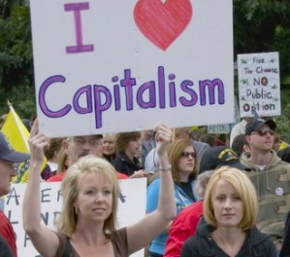 It’s time for innovative thinking, and environmentally responsible spending. The spirit of holiday generosity kindles and glows warmly in the beckoning window of opportunity. Have a Gift? Give it! TimeBanking is a way of giving and receiving to build supportive networks and strong communities. One hour helping another earns one TimeBank Hour. 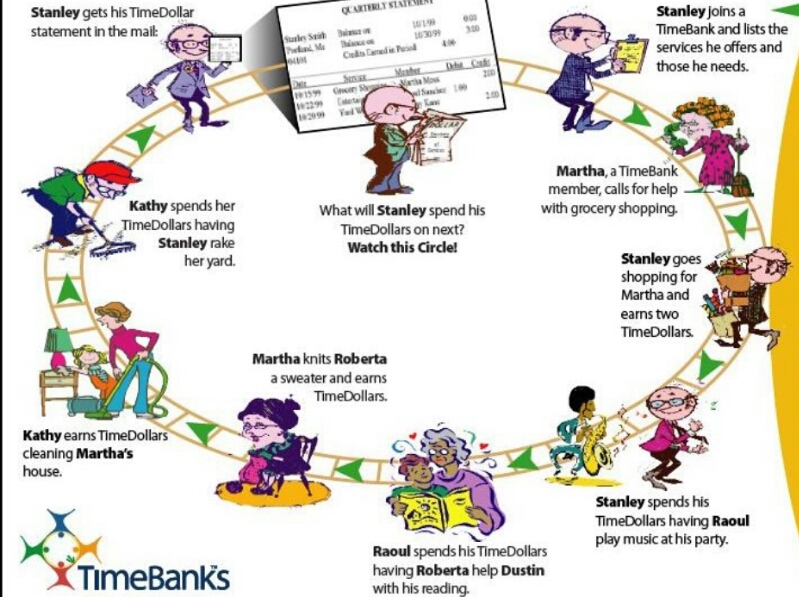 TimeBanking builds on the principle of investing, or as TimeBanks calls it, the magic of “pay it forward,” with one good turn leading to another. I earn a time credit by doing something for you. It doesn’t matter what that “something” is. You turnaround and earn a time credit doing something for someone else in your TimeBank Community. For example, an hour of gardening equals an hour of child-care equals an hour of dentistry equals an hour of home repair equals an hour of teaching someone to play chess. The possibilities are endless. Anyone can earn time credits by investing their own time and talents into the TimeBank. They find a TimeBank member with a need, and contribute to solve it. Likewise, anyone who has been investing into the TimeBank can trade them for help when a need arises. Or they can pass their time credits to others who may need them more. Individuals, groups, organizations, government agencies, churches, and businesses can all become members. Investing time, energy, skills and resources is welcome from every source. Even the TimeBank itself is a member, because the TimeBank needs active members to set it up and sustain it over time. TimeBanking software is utiilized to manage all the information. Members use the software to enter data about themselves, list what they need, and list what they have to offer. They also learn about each other, record their exchanges, track their hours, and learn about TimeBanking events. Members who find it difficult, or are unable to use the internet are usually assigned a TimeBank “buddy” to help them, or do it for them. TimeBank administrators use the software to keep track of the activity in the TimeBank and make reports of it. They sign up new members, inform members of events and special projects, and help members if any difficulties arise. Monthly community potluck meals are very successful for building the relationships that power the TimeBank. People enjoy getting to meet each other, and finding out who’s exchanging what. They are also useful for outreach, inviting non-members who are interested in joining the TimeBank. 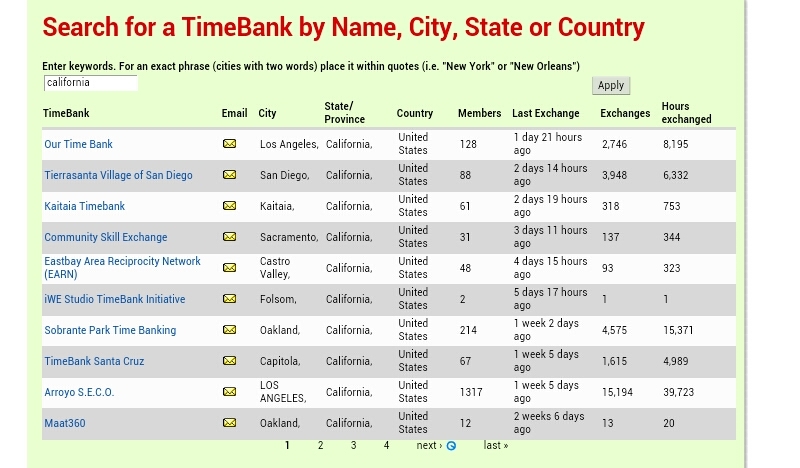 With memberships ranging from only one, to over 2,000, the TimeBanking movement is spreading across the United States and internationally. It now includes a network of more than 200 independent TimeBanks in the United States. Internationally, there are over 32 countries with active TimeBanks. Social- and justice-related organizations often find a perfect match with TimeBanking members interested in investing in these missions. Also, some TimeBanks are dedicated to addressing specific needs, like juvenile justice, or helping frail, elderly people remain in their homes, or overcoming a racial divide, or reducing social isolation within a community. TimeBank projects and events bring a life of their own to a TimeBank. To find out about the projects and events being offered, check out the TimeBank Directory and explore what interesting investments in time and talent are being exchanged around the world. You might just find that perfect gift!